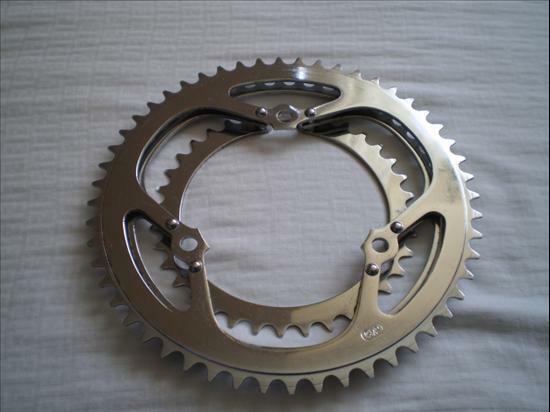 This is a Cyclo 52-46-36T triple chainring possibly from the early 70's. A 52-46-36T chainring was optional on the Peugeot UO-8 and I suspect that this one was intended for that application. I currently have it installed on my 1972 UO-8.